The Infant T.C. Turtle Mask offers an exciting, child-friendly design in cool colors that reduces anxiety and encourages compliance during aerosol treatments. The T.C. Turtle mask's smooth edges and anatomical design increase comfort and help reduce pinching and pressure points during use. TC Turtle is disposable and should be hand washed. 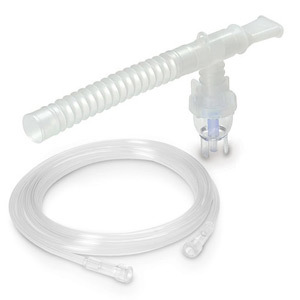 COMPATIBILITY: This mask is compatible with all standard nebulizer compressor systems including those from Philips Respironics, AirLife, Devilbiss Healthcare, and others. 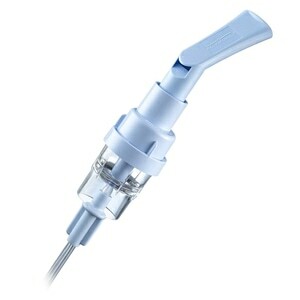 It is NOT compatible with the connectors found on Pari Medical nebulizers. 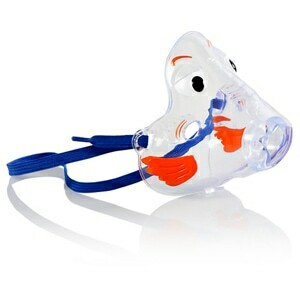 USAGE: This product is the mask and FlexTube only, it does not include the nebulizer or optional head straps. 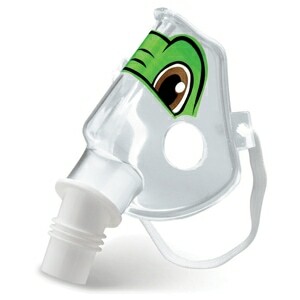 Nebulizer's are sold separately elsewhere on this site. Took longer to receive then it wa supposed too. Also WAY TO SMALL. I would have ordered it else where if I knew it would barely cover his nose. It was suggested to fit 1 year and under. It fits perfectly now but there is no way it will fit in a couple of months. I suggest this for babies 6 months and younger. This was just what we were looking for. It is the perfect size for a newborn. I'm mad at myself that I did not read this carefully that is was for an infant and not a child. It would be a great purchase for an infant but seeing as my son is 5 I probably won't be able to use it. I asked what size would work for my 18 month son and this mask was suggested to work. This does not work for a toddler this mask is for an infant. Did not work for me. Quick and easy especially when having a 2 month diagnosis with asthma. I was very happy with both the shipping speed as well as the mask itself. My now 4 month old son caught Croup virus and is placed on albuterol and Pulmicort treatments around the clock. It worked out great to begin with but he has now started teething, therefore, constantly opens his mouth to eat the bottom portion of the mask. I can't really use it with a stretch cord that wraps around his head for that reason. Other than that it's a pretty snug fit and delivers the medicine without wasting any. Just remember that it will really fit a small infant under 15lbs, and rather snugly at that. No complaints here! This item was just what I needed to get my daughter the treatments she needed. Good item, but too small for 14 month old. This is a great item if my baby were a little younger/smaller. Probably under 11 months is a good bet... maybe. 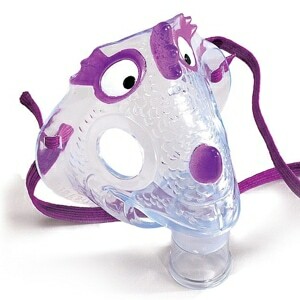 This mask was the perfect size for my newborn and worked wonderfully with the nebulizer. This mask is very cute and good quality, but was smaller than I imagined. I have a 7 month old and it was too small so we unfortunately never got to use it.